Georgia belongs to the zone of quality and high-quality viticulture and wine-making. 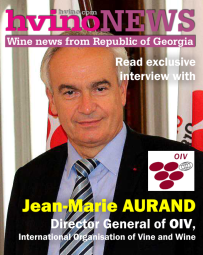 The objectives of the Law of Georgia on Vine and Wine are: overall promotion of the development of viticulture and wine-making as a priority sector of the country’s economy (39.09.98 No. 1604. sakanonmdeblo matsne” No.2); production and marketing of competitive grape wines and other alcoholic beverages of grape origin; and protection of the consumer market from fraud and poor-quality products. The Constitution of Georgia, this Law and other normative acts form the legal basis for production of vine seedlings, grapes, wines and other alcoholic beverages of grape origin. This law applies to natural and legal persons whose economic activities include production, marketing, export or import of goods produced in the sphere of viticulture and wine-making, including alcoholic beverages of grape origin (04.07.2002 No.1635). d) Amateur Vineyard – a vine plantation on a household or garden plot, where variety diversity is admissible. The grapes harvested from an Amateur Vineyard are used for direct consumption. Requirements set under the Georgian legislation for Industrial Vineyards are not applicable to Amateur Vineyards. a.a.n.) 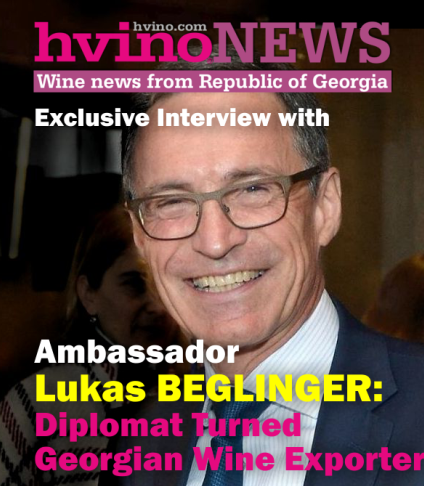 Reporting – a statement of the implementation of technological processes in connection with commercial production and storage in the field of viticulture and winemaking by an entrepreneur under the procedures established by the Ministry of Agriculture and Food of Georgia (04.07.2002 No.1635). 2. 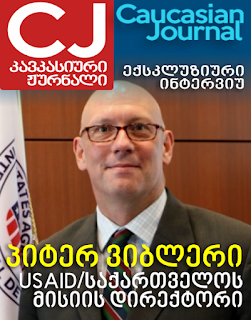 The Ministry of Agriculture and Food of Georgia exerts state control over “Samtresti” activities. The structure, functions and powers of “Samtresti” are defined in its Charter approved by the Ministry of Agriculture and Food of Georgia (04.07.2002 No.1635). Chapter III. Genetic Resources of Vine / Protection. Classification of Standard Vine Varieties. 1. The genetic resources of the vine – the gene fund of aboriginal (local) varieties and wild vine forms are a national treasure protected by the State. 2. The discovery, investigation, study and conservation of vine genetic resources are funded by the State. This activity may be carried out by natural and legal persons. 1. The standard range of vine varieties includes aboriginal and introduced (Vitis Vinifera) varieties, as well as phylloxera-resistant inter-variety rootstock hybrids. 2. 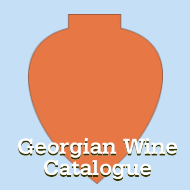 The following standard range and classification of vine varieties of Georgia are established under this Law. 2. Addition of new selections and introduced varieties, as well as the revealed clones, to the standard range of vine varieties is carried out according to the procedure established by the Ministry of Agriculture and Food of Georgia(04.07.2002 No.1635). 1. Selection and varietal-pure mother plantations of rootstocks and scions are organized on state farms, as well as farms of physical and legal persons. Mother plantation are organized only on the basis of phytosanitarily healthy variety-pure seedlings included in the standard range of vine varieties. 2. To obtain a bud-bearing material, a specially planted industrial vineyard may be used provided that it complies with the requirements set for mother plantations and guarantees after mass and phytosanitary selection the production of variety pure, healthy, virus-free, certified planting materials. 3. A vineyard plot used for testing shall be precisely separated from other plots, included in the register and assigned the category of a mother plantation of scions. 4. Only tested (selected) rootstock and grafting material are allowed for grafting. 6. Technical and phytosanitary control over the production of vine mother plantations, grafting materials and engrafted seedlings is exercised by “Samtresti” according to the procedures established by the Ministry of Agriculture and Food of Georgia. (04.07.2002 No.1635). 1. The delivery (sale) of seedlings is allowed only if accompanied by a certificate (certificate of compliance) of quality, varietal purity and health (04.07.2002 No.1635) and the appropriate label. 2. The labeling, packing and transportation of seedlings is carried out in accordance with the state standard for seedling production and marketing. 3. Imports and exports of planting materials are carried out pursuant to the Legislation of Georgia in force. 4. Certification of vine grafting and planting materials is carried out according to the procedure set by the Ministry of Agriculture and Food of Georgia. 5. Marketing of vine grafting and planting materials without certificates of compliance will bring liability as provided by the Legislation of Georgia. (04.07.2002 No.1635). 1. Vineyards are divided into Amateur, Special and Industrial Vineyards. The basis for giving the right to cultivate an industrial vineyard is a Permit from “Samtresti” issued in accordance with an application submitted by natural or legal persons. (04.07.2002 No.1635). The observance of the range determined with this Law is binding in major industrial regions, specific (04.07.2002 No.1635) zones and sub-zones. 1. Cultivation of an industrial vineyard in Georgia is permitted only by using one or two-year old seedlings grafted on phylloxera-resistant rootstock. 2. Scion-rooted (or that with non-rooted shoot) seedlings are used only for cultivation of phylloxera-resistant mother plantations or for scientific purposes. 1. The yield per hectare of grapes designated for production of wines with denominations of origin is regulated in the defined zones and sub-zones. 2. The limits of grape yield per hectare and norms for the recommended vine weight in the regulated yield are worked out by the appropriate Scientific and Research Institute and approved by the Ministry of Agriculture and Food of Georgia. 3. The yield per hectare of grapes is not limited in zones producing table grapes, grape juices and mass-consumption wines. 4. The observance of the regulations for application of nitrogenous, phosphate and potassium fertilizers in yielding vineyards is subject to control. 5. Pest control in vineyards, as well as observance of the regulations for application of the allowed chemicals and fertilizers is carried out in accordance with the legislation of Georgia. Chapter VI. Classification of Wines. Identification of Products of the Winemaking Sector. 2. The general rules and regulations for production of wines listed in clause 1 of this Article are established by this Law and the Ministry of Agriculture and Food of Georgia. (04.07.2002 No.1635). w) Aeration (Saturation); x) Addition of sulfur (Sulfuration); y) Tirage; z) Centrifugation; aa) Filtration(04.07.2002 No.1635). 3. Application of the following materials and substances is allowed in oenological practices: (04.07.2002 No.1635). aa) Ferment (enzyme) preparation; bb) Homogenous preparation of tartaric acid and calcium carbonate; cc) Zeolite; dd) Animal albumin; ee) Activated charcoal;ff) Sand. c) to use piquette only for distillation or for the producer’s personal consumption. 4. Wine that does not contain the minimum amount of alcohol defined for table wines, may be used for production of vinegar, distillation of alcohol or private consumption. g) addition of rectified ethyl or other spirits to table wines, wines with denominations of origin, sparkling and carbonated wines, except for brandy spirit in the liqueur designated for sparkling and carbonated wines; (04.07.2002 No.1635). i) addition of sucrose to a wine at any stage of its production with the purpose of fermentation or to bring its mass sugar content to the required condition, except for liqueur designated for sparkling and carbonated wines, sugar syrup for blending and alcoholic beverages; (04.07.2002 No.1635). l) addition to wine products of substances which are not specified in Clause 2 of Article 15 of this Law. f) grape yield per 1 hectare; percentage of success per 1 hectare or per 1 ton. g) physico-chemical, microbiological and organoleptic characteristics. 1. Each specific zone shall be strictly demarcated by vineyard or the aggregate thereof, as well as the factors (soil, climate, vineyard location, exposure, etc.) determining the quality of wines with denominations of origin produced in specific zones. (04.07.2002 No.1635). 2. Specific zones and grape-growing regions are defined by the Scientific and Research Institute of Horticulture, Viticulture and Wine pursuant to the procedures established by the Ministry of Agriculture and Food of Georgia. They are approved by the Ministry of Agriculture and Food of Georgia. 4. If, after three years, the requirement set in Clause 2 of this Article applicable to production of wines with denominations of origin are not being observed, wines produced from grapes harvested in the zone shall not be given the status of wines with denominations of origin. 1. Up to 15 percent of grapes or wine produced from standard vine varieties coming from another specific zone of the same zone may be used for production of wines with denominations of origin produced in specific zones. 1. By January 1 of the year following the vintage, the Ministry of Agriculture and Food of Georgia inventories wines with denominations of origin at the place of their production and assesses their quality according to the established procedure. 2. All natural and legal persons involved in any process of production and the marketing cycle of wines with denominations of origin are obliged to ensure the high quality of the certified wine with denominations of origin. 3. Control over the production process and quality of certified wines with denominations of origin throughout the whole period of production and marketing of wines with denominations of origin is exerted in line with the Legislation of Georgia. (c.b.) Reservoir-fermented – until the expiration of at least 6 months after the start of alcoholic fermentation. e) Without indication of the category, brand, name and the vintage year of wines with denominations of origin in the accompanying documents. e) Sweet – sugar content exceeds 80 g/dm3. b) During the sparkling wine production by the reservoir-fermentation method – upon completion of secondary fermentation in reservoir or during direct bottling. 2. A sparkling wine may contain carbon dioxide produced only as a result of secondary fermentation, except for the case when the sparkling wine is produced directly from the grape must. d) Sweet – sugar content exceeds 80 g/dm3. 2. Only the dosage is used in carbonated wine production as addition to blends designated for carbonated wine or directly in the bottles during bottling of carbonated wine. 3. The dosage addition is not considered an operation to increase sugar content. 4. The dosage addition shall not cause an increase of the total alcoholic content by volume by more than 0.5 percent. 2. With the purpose of sweetening, coloring and flavoring of alcoholic beverages, the use of sucrose, glucose, fructose, the concentrated grape must, grape must, color (burnt sugar), natural oak extract, honey and other natural flavorings is allowed in the process of production of alcoholic beverages. 1. The alcoholic content by volume of brandy wine materials (30.09.98. No.1604 sakanonmdeblo matsne No.2) shall not be less than 9.0% while its titrable acidity – less than 5.0 g/dm3. 2. The content of volatile acids in the brandy spirit shall not exceed 0.8 g./l. while its methyl alcohol content – 1.5 g./l. (calculated as per water-free spirit). 3. Only the brandy wine material is allowed for distilling. d) 4th group – “Very Old Brandy” produced from brandy spirits a minimum of 20 years old. 4. In production of the 1st group brandies, five-year old brandy spirit may be used for blends in an amount of not more than 10%. In production of the 2nd group brandies, six-year old brandy spirit may be used for blends in an amount of not more than 10%. In production of the 3rd group brandies, seven-year old brandy spirit may be used for blends in an amount of not more than 10%. In production of the 4th group brandies, eight-year old brandy spirit may be used for blends in an amount of not more than 10%. 1. The preparation of hard liquor from wine is allowed only from spirits obtained through wine distillation or secondary distillation of wine raw spirit. Dairy products, fruits, wine (including aromatized wine) and wine spirit only may be used for production of liqueurs of grape origin in addition to the substances and products listed in Clause 2 of Article 25 of this Law. j) The bottler’s name when the producer and the bottler are different entities (04.07.2002 No.1635). 2. A brandy label shall also indicate the average age of the spirits used in blending. 3. A carbonated wine label shall be marked “carbonated wine”. 4. Sparkling wine shall be labeled at the place of production. Using the words “Champagne” and “Produced by the Champagne Method” on any marking of sparkling wine (labels, boxes, documents, etc.) is prohibited. 5. The notation “Produced in Georgia” shall be on the label of production designated for export. 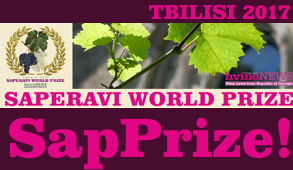 c) The vintage year if the wine has been produced from at least 85 percent of grapes harvested in the indicated year. d) The traditional name of the product if it exists and is used in its production zone and the synonym of the main raw material (grape) if it is traditional for the given zone. e) The sugar content of the product, g/dm3 (04.07.2002 No.1635). g) The amount of bottled products with denominations of origin; (04.07.2002 No.1635). h) Details concerning the production method, color, ingredients contained, etc. that are regulated by the pre-defined technological manual for production of the given product. i.f.) A historical place (monument) in the production zone. 3. Production designated for export may contain additional or special information in accordance with the legislation of the importing country or at the request of the importing person. 2. At the importer’s request, two foreign languages may be used together with Georgian to indicate the product’s name only. (04.07.2002 No.1635). Mandatory certification of grape products, being homogenous products, is organized by the Ministry of Agriculture and Food of Georgia according to the procedure set by legislation. 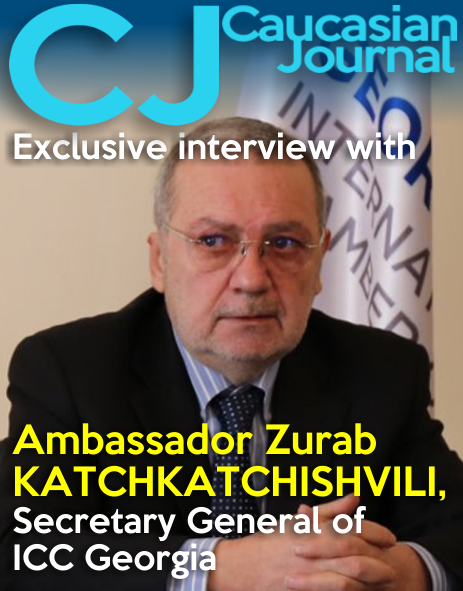 Coordination of these activities falls within the competence of the Department for Standardization, Metrology and Certification of Georgia. 1. In accordance with the procedure established by the Ministry of Agriculture and Food of Georgia, “Samtresti” issues certificates of origin for products designated for export. 2. Only bottled wines with denominations of origin may be exported. c) Its production procedure and composition comply with the requirements established by the Legislation of Georgia. 3. Each consignment of grape products is subject to certification except for products imported from countries whose certificates are recognized by Georgia under international agreements. 1. Recording and reporting of technological processes related to the production and storage of commodities is compulsory for entrepreneurs engaged in the viticulture and winemaking sector. b) The quantity of grapes to be produced, the variety and place of production, as well as the name, quantity, physico-chemical characteristics and turnover of the processed products in the winemaking sector. d) production and turnover of products. 4. The procedure and form for recording and reporting of technological processes related to the production and storage of commodities in the viticulture and winemaking sector are fixed by the Ministry of Agriculture and Food of Georgia. 5. Violation of the recording and reporting procedures for technological processes related to the production and storage of commodities in the viticulture and winemaking sector involves responsibility under the Legislation of Georgia. 2. Clause 2 of Article 6, Clause 5 of Article 9, Clause 1 of Article 333 and Clause 5 of Article 335 come into effect as of January 1, 2003. This Law goes into force on its publication.